Just wanted to show off the Minion cake my niece made me for my birthday. 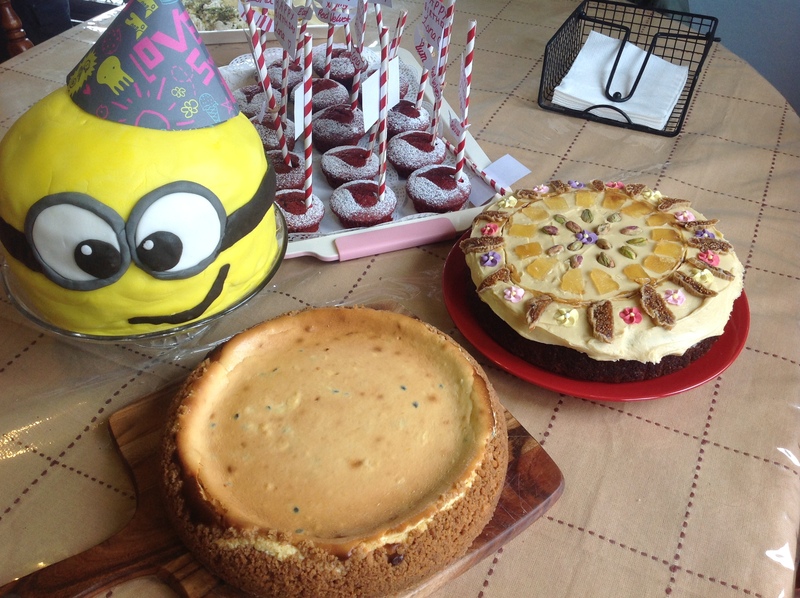 There was also Lemon and Passionfruit Cheesecake from my wonderful husband and some Red Velvet Cupcakes from my niece Beckie. The other cake was for my Mum. 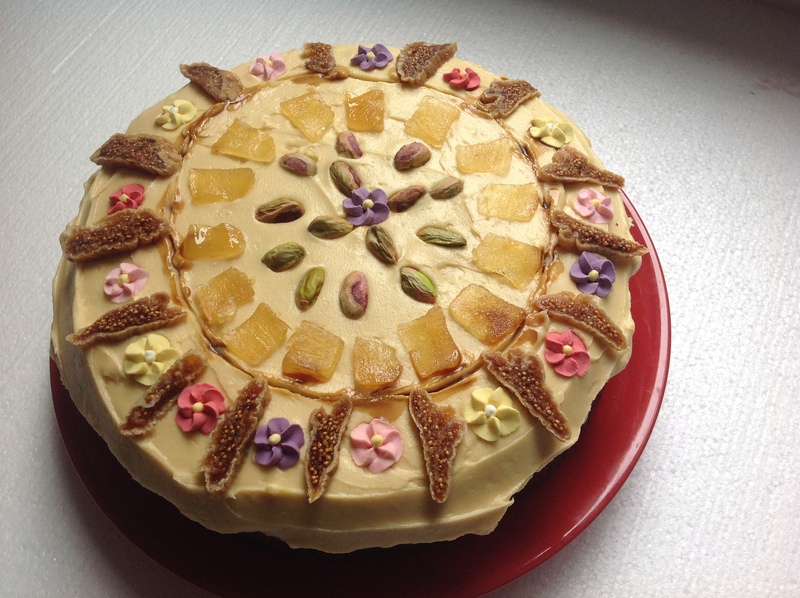 Fig, Pistachio and Ginger with a Pomegranate Cream Cheese Icing. That one I made and will be sharing the recipe a little later. 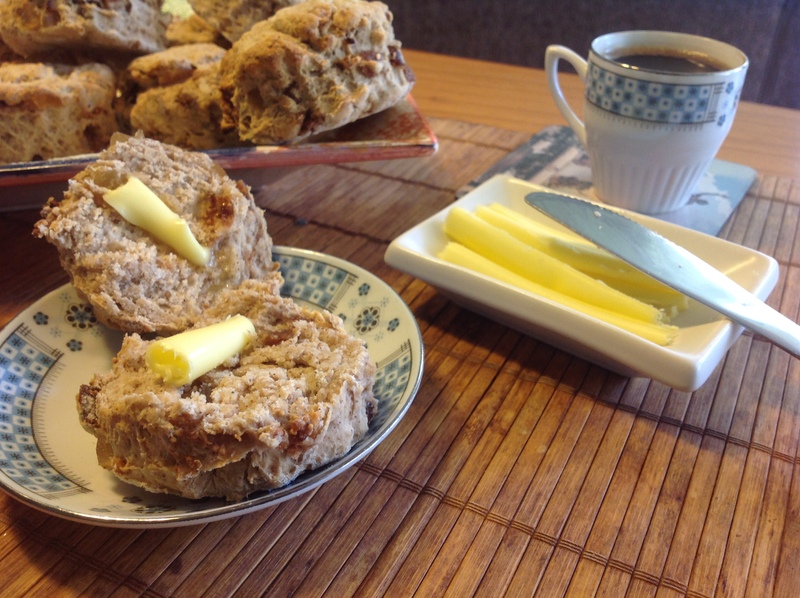 Joining in the fun with Celia at Fig Jam and Lime Cordial and making scones to celebrate International Scone Week. 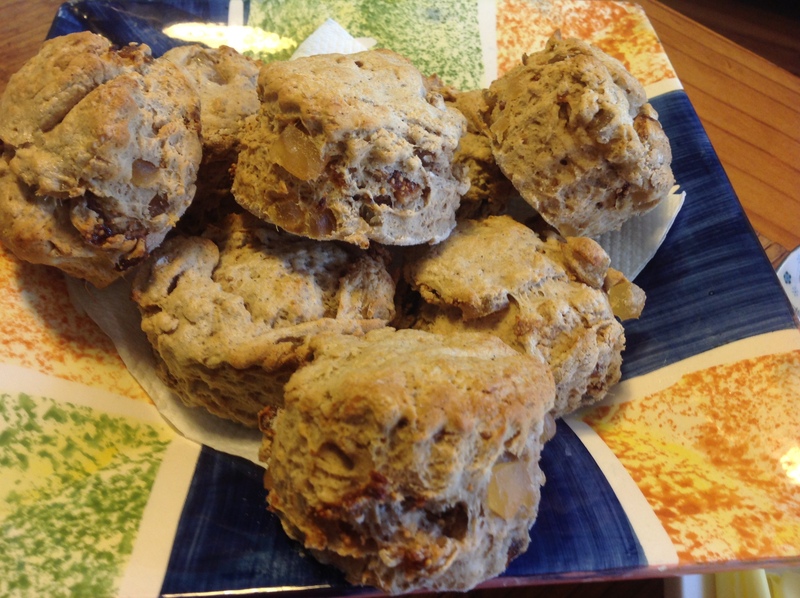 These little beauties are an adaptation of a scone recipe I use very often. All I’ve done is substitute some of the ingredients for flavours my Mum loves (it is her birthday today after all), and regular readers know how I love to play with recipes. Sift the flour, ginger, cinnamon and salt In a medium bowl. Add the dates and ginger and stir to combine. Heat the milk, cream and pomegranate molasses gently until well combined. (Mine curdled a little at this stage but it didn’t affect the end product). 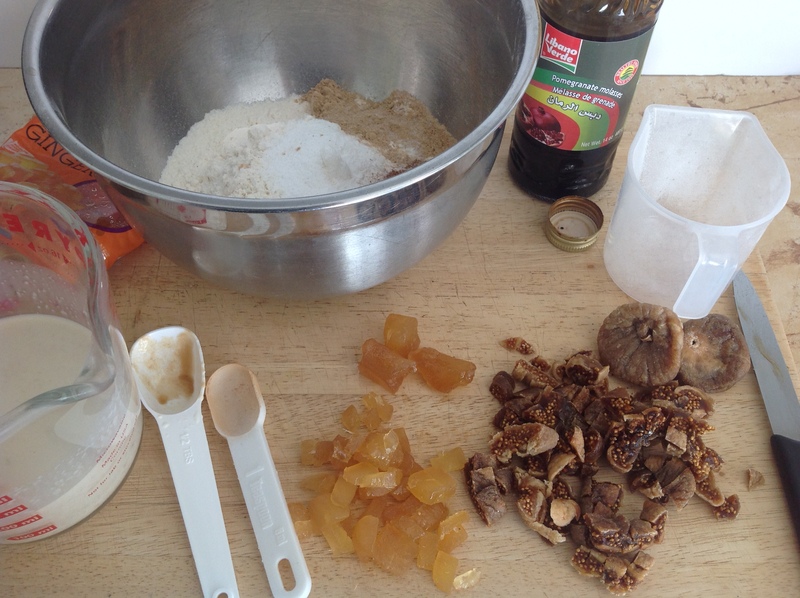 Add to the flour and fruit mixture and mix with a flat bladed knife to form a soft. 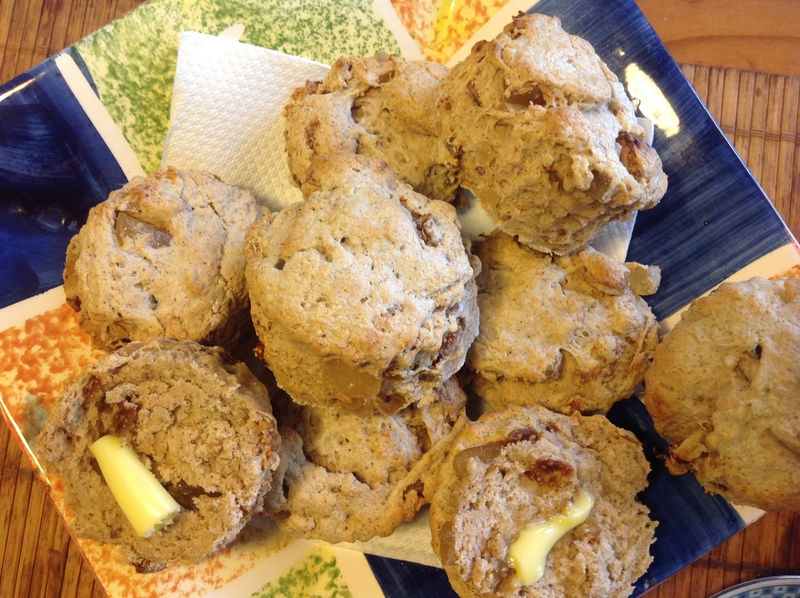 Don’t over mix or you”ll end up with a tough scone. 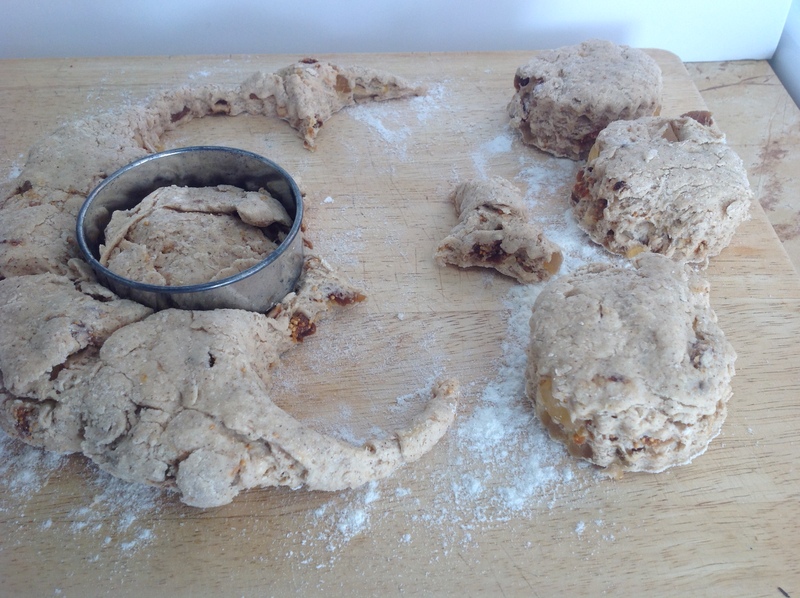 Tip out onto a lightly floured surface and press out to 2 cm thickness. Cut into rounds using a 5 cm cutter. Place on a baking paper lined baking tray. Brush lightly with a little extra cream and bake in a pre-heated 210oC oven for 12 – 15 minutes or until lightly golden.